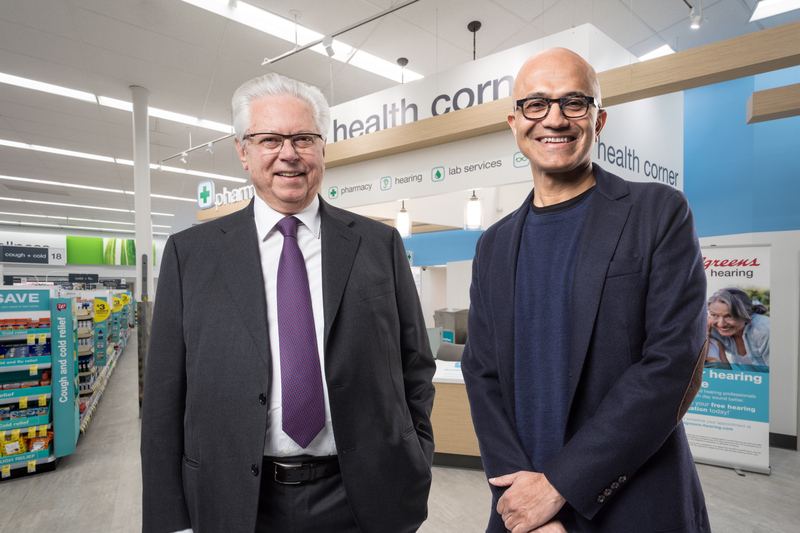 Walgreens Boots Alliance (WBA) and Microsoft have joined forces to develop new health care delivery models and technology, under a new healthcare agreement. Through this collaboration, Microsoft becomes WBA’s cloud provider, with WBA planning to migrate the majority of the company’s IT infrastructure onto Microsoft Azure. This will also include new platforms in retail, pharmacy and business services, data analytics, as well as certain legacy applications and systems. WBA also plans to roll out Microsoft 365 to over 380,000 employees worldwide, the companies said in a statement. As part of the partnership, the companies have committed to a multiyear research and development investment on healthcare initiatives, including the potential to establish joint innovation centers, as well. Additionally, in 2019 WBA will pilot up to 12 store-in-store ‘digital health corners’ for merchandising and sale of health care-related hardware and devices, according ot the companies. WBA and Microsoft are also expected to focus on enabling more personalized health care experiences from preventative self-care to chronic disease management. Walgreens Boots Alliance’s portfolio of brands include Walgreens, Duane Reade, Boots and Alliance Healthcare, as well as No7, Soap & Glory, Liz Earle, Sleek MakeUP and Botanics.